This book is the third volume of my series of four. The first looked at learning to fly aeroplanes and helicopters, while the second was concerned with flying light aircraft after obtaining the PPL. The fourth volume will talk about my personal experiences as a helicopter instructor, and give some hints for new instructors. All of them are taken primarily from my column in Flight Training News, and were originally published between 2006 and 2011. This third book does exactly what it says in the title – it tells you all about flying helicopters, which is what I did for many years, both for pleasure and as a career. It begins with articles about specific and often difficult aspects of flying small helicopters – Helicopter Navigation, Flying Helicopters in Marginal Weather, and Helicopter Night Flying. Next come some personal experience type articles – Flying the London Helicopter Routes, Flying Different Helicopter Types, and A Helicopter Pilot’s Cautionary Tale. Finally we have some articles for aspiring professional helicopter pilots and instructors. 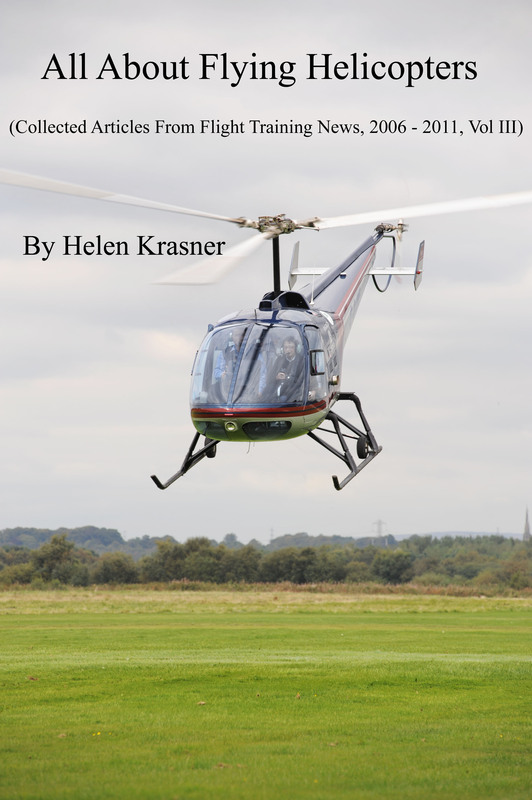 This book is aimed at anyone who is interested in helicopter flying, but should be particularly useful for helicopter flight students, people who have a helicopter pilot’s licence and fly as a leisure activity, or those are aiming to get a helicopter commercial pilot’s licence in the future. The book consists of 12 articles, has well over 20,000 words, and includes a useful glossary. Topics covered include flying helicopters in marginal weather, flying different helicopter types, and becoming a professional helicopter pilot and/or instructor. You can buy it here.